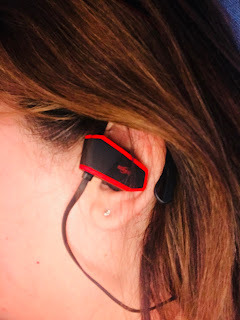 Working out is a part of many of our everyday lives, so having good quality earphones is important if you like to talk on the phone or to listen to your own music or motivational sound tracks while you work out. Let's face it, life is busy and sometimes we have to multitask to get things done. 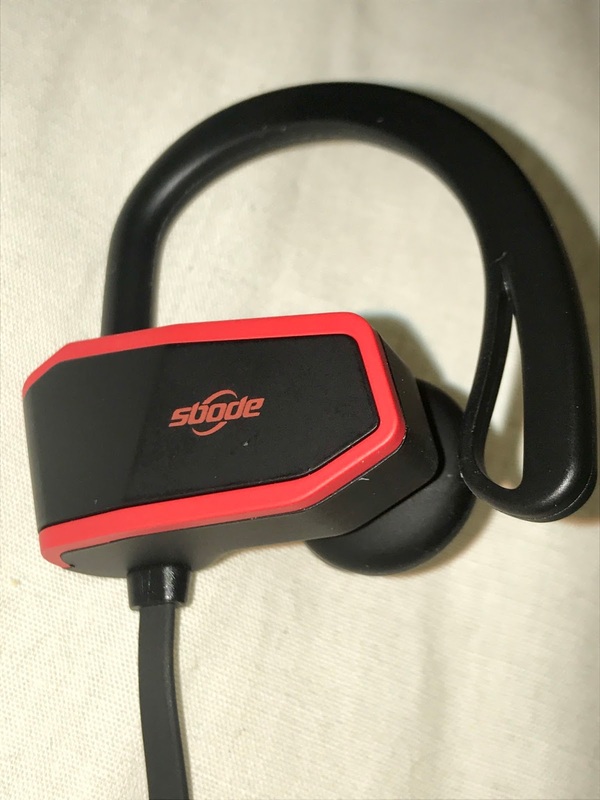 Sbode Sport wireless earphones are multi functional earphones that allow you to get your work outs, runs and every day tasks done without a bunch of wires getting in your way. The Sbode sport earphones come with everything you need to work out wirelessly. They even have Super Button to Activate Siri on your Iphone! So, if you have an iPhone, you definitely want to check these out. 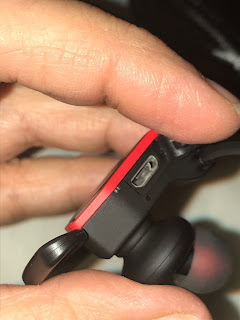 First I want to point out that the the earphones come with 3 sets of earbuds in sizes S,M and L. This allows you to get a good custom fit for best sound quality. They also come with a charging cable that you use to attach charge the earphones by plugging them into your computer or charging outlet. There is a convenient carrying case with pocket to store your earphones, earbuds and charger when not in use. The case is light weight and zippers shut. The earbuds themselves have silicone ear hooks and many different functions, which I will now explain. You have your basic on/off function and microphone built into the earphones. Pairing mode, which allows you to pair the earphones with your device. You can answer calls, end calls, reject calls and redial last number. You can adjust volume, skip tracks, listen to previous tracks and pause. 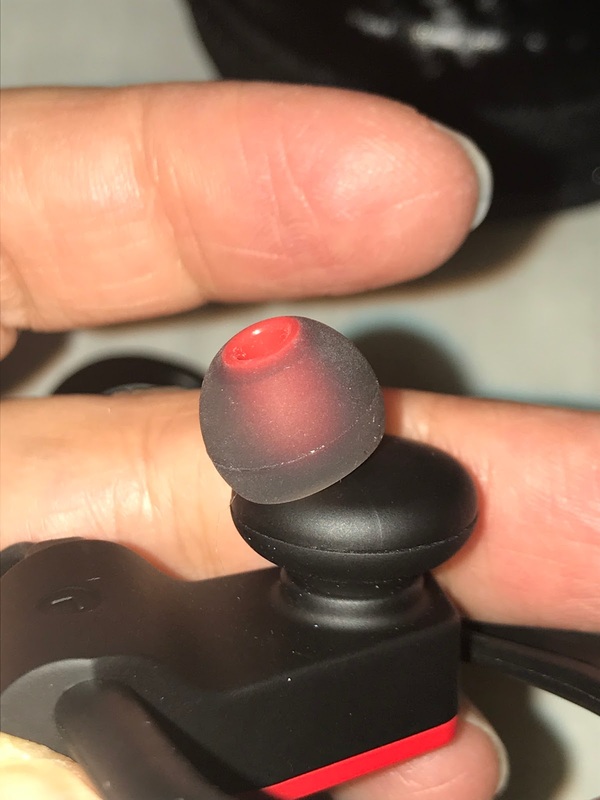 All of the functions are accessible with the touch of your finger and are operational with the amount of time you hold down certain buttons on the earphones. The sound quality on the earphones was very good. I didn't get white noise or background noise. It didn't sound muffled. They had a nice crisp, clear sound to them. Check out this review video that I created, that explains how these work. 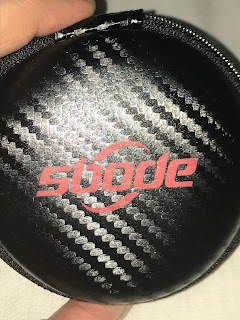 You can learn more about this earphones by visiting Sbode. If you would like to purchase these earphones, they are available on amazon for under $25. Valentine's day is coming and these would make a nice gift. They even have the nice red trim on them. 【TRUE HD HIGH FIDELITY SOUND】: Latest Bluetooth 4.1 CSR technology and advanced APTX tech, our in-ear design offers incredible high fidelity sound quality with selectable EQs to provide deep bass and crystal clear treble. Works great with soundtracks, audio books, relaxing sounds and even techno music. 【COMFORTABLE and SECURE FIT】: With Ergonomic design and silicone ear hooks, premium soft smooth silicone gel surface, Sbode Bluetooth Headphones are secure behind your ears and rest comfortably in the ear canal to guarantee fatigue free ears and tangle free comfort.. Neckband design, no wires tangling, and it's easy to storage to your sports armband or arm package bag. Great for Gym, Running, Jogging, Hiking, Cycling, and impact Sports. 【LONGEST BATTERY LIFE】: Up to 8 hours music playing time on a full charge. Super quick charge time of only 1.5 hours with full charge light indication. The headphone battery status will be automatically displayed on the IOS Phone screen. Voice prompt allows notification of incoming calls and phone numbers, so never miss a phone call. 【EXCLUSIVE FEATURES】: Super button to activate Siri on iPhone. Can be connected with two devices Simultaneously. Latest Bluetooth 4.1 CSR technology brings to long time working and 33feet distance. With CVC 6.0 Noise Suppression technology, the Sbode Bluetooth Earbuds reduce background noise, so you can focus on your favorite music, no matter where you are. Disclosure: I received this product to review for free or reduced cost. This post contains affiliate links. All opinions expressed are my own personal opinions and are based on my own use. Your opinion may differ. I was not required to write a positive review. These would make a great gift. My fiance' has an iPhone and I think he would really like these. They are really nice. I love all the functions and like that it works with Siri.